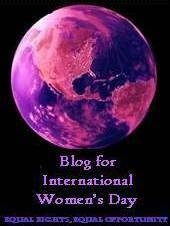 The purpose of this blog is to create and foster a global community of feminists where everyone should feel free to express their opinions based on our blog’s content. We encourage comments so that everyone who wants to participate in our dialogue can. We also invite self-promotion of your blog only if it critically contributes to the discussion, or you can promote your blog every Monday on our Global Feminist Link Love where we encourage everyone to shamelessly self-promote what they wrote from the past week. However, we will not tolerate irrelevant, disrespectful, offensive, crude, and hateful comments. Those comments will immediately be taken down. If you see something that does not coincide with our comments policy, please email info@genderacrossborders.com. Each author moderates her/his own posts and will ultimately decide to erase or keep comments.